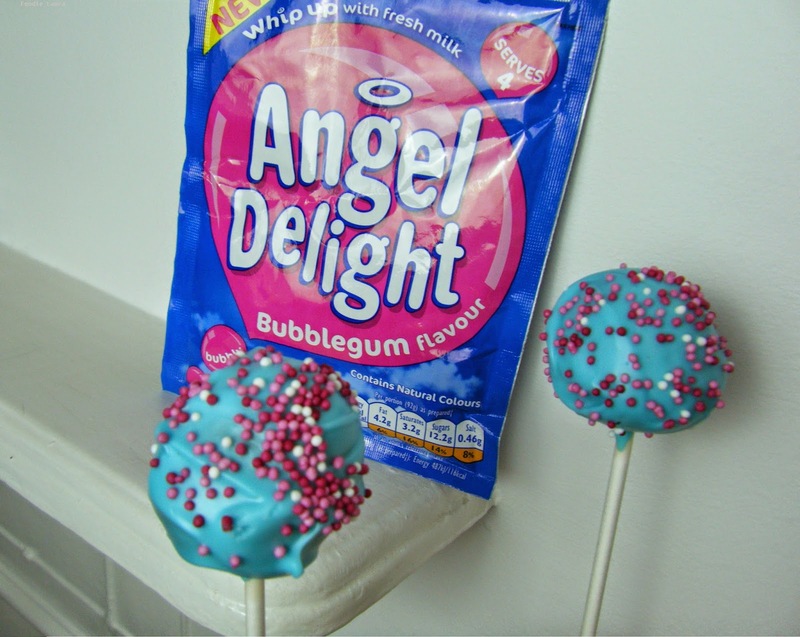 These bubblegum flavoured cake pops use the new bubblegum flavoured Angel Delight to give them that classic bubblegum flavour. Ok, there's nothing classic about bubblegum flavoured cakes on sticks with blue frosting but you know that old school sugary bubblegum flavour that you remember from childhood? It's classic. You can use any basic sponge recipe for these cake pops just replace 60g of the sugar with the Angel Delight mix. Cream the butter, sugar and Angel Delight together. Then sieve in the flour and mix until smooth. 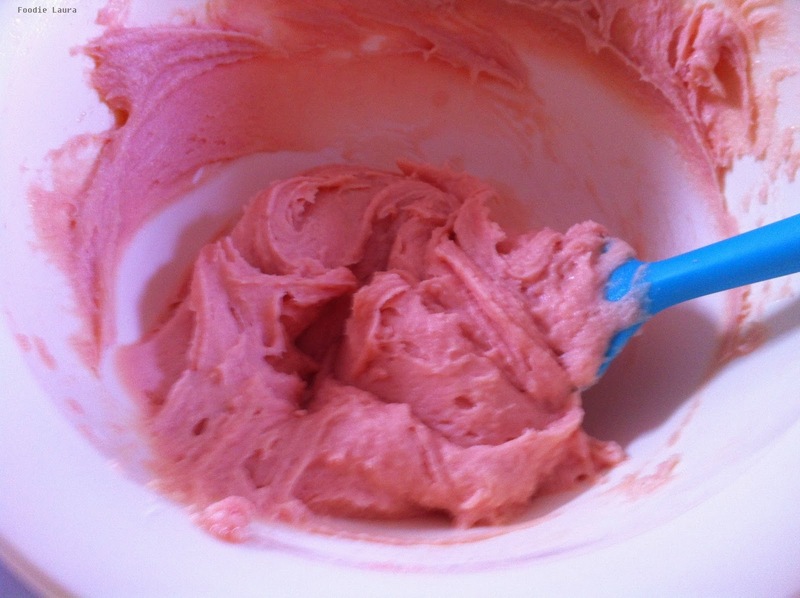 The uncooked batter looks pink but the finished cake is regular cake colour because Angel Delight uses natural colourings which tend to be a bit pale. If you'd like a pink cake add a couple of drops of red food colouring at this stage. My cake pop maker only makes 6 balls at a time so I had to cook these in batches. 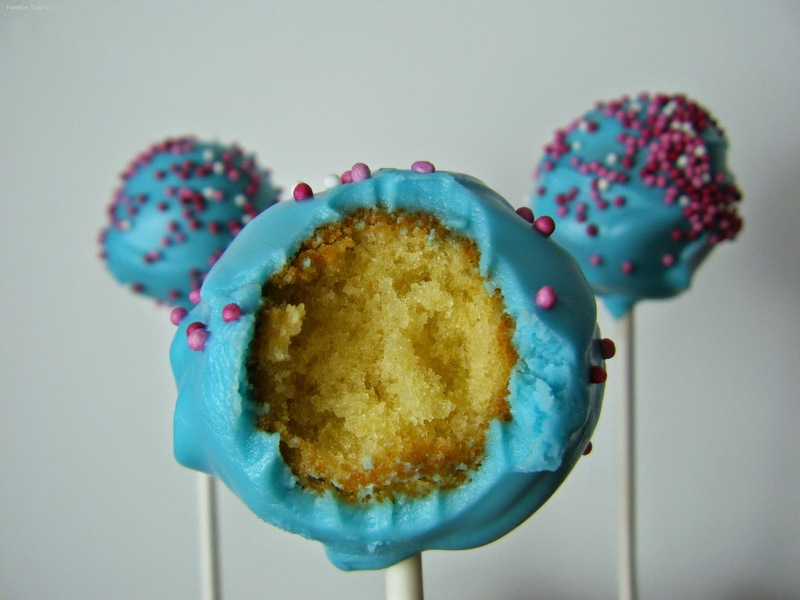 Put a teaspoon of cake batter into each cake pop mould and cook for 7 minutes. Once cooled spear the cake pop balls onto lollipop sticks and decorate. I used blue Candy Melts and pink sugar sprinkles.